What is the septoplasty procedure? During a septoplasty, your surgeon trims, replaces, and repositions the cartilage and bone inside your nose, working through incisions on the sides of your nose or between your nostrils. If the problem is traced to crooked nasal bones, your surgeon may need to make cuts in the bones to reorient them. Sometimes, your surgeon uses spreader grafts, which are small strips of cartilage that correct problems along the bridge of your nose. The procedure requires either local or general anesthesia. During your pre-op consultation, you and your surgeon will discuss which option you prefer. Local anesthesia numbs your nasal area, and when paired with sedation, leaves you feeling groggy but not unconscious. General anesthesia will render you fully unconscious throughout the operation. Septoplasty is considered an outpatient procedure, so you will be able to return home the day of the operation, after a waiting period for you to revive and make sure there are no ill effects. What are the costs and insurance coverage of a septoplasty? Depending on the complexity of the operation, a septoplasty can cost from $6,000 – $30,000. However, most of this cost should be covered by insurance, since repairing a deviated septum is considered a necessary medical issue. 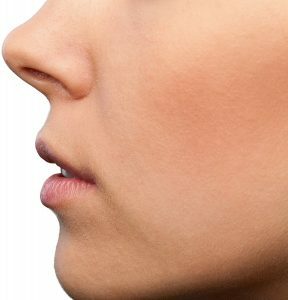 Some patients pair a septoplasty with a rhinoplasty, which is a cosmetic reshaping of the nose. In this case, insurance may decline to cover the cosmetic portion of the operation. At Beverly Hills Plastic Surgery Group, we are glad to help you through the insurance process and strive to ensure that your septoplasty is adequately covered.